A digital oscilloscope is commonly utilized to analyze the performance of equipment that produces an electric signal (Source). Oscilloscopes evaluate the shifting voltage of an electric signal over a period of time. They indicate the signal as a waveform in a graph with voltage sweeps appearing on a Y axis, and time appearing on an X axis (Source). You can use digital oscilloscopes for testing, measuring, and examining in a wide range of settings, which includes motor vehicle testing, telecoms, along with other engineering and electronic applications (Source). 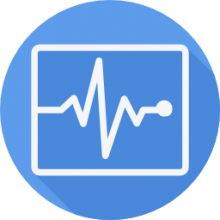 A few primary uses for oscilloscopes include: the design and assessment of new electronics, identifying issues in vehicle ignition systems, and medical tests such as electrocardiograms (Source). It is AC-powered and also includes PC software called UltraScope and 2 probes- 1x or 10x selectable, and includes 2 probe hook tips. Buyers supply pretty positive feedback- commenting that it is an economical option, with a robust plastic casing, rugged dials, and a price that is easily a tenth of more commercial-grade o-scopes. Some complain that the included software is useless, while other buyers claim that with some perseverance, downloading Windows drivers, and a perusal of the Rigol support page, that it became a functional if somewhat basic resource. It's not without its flaws: the fan is a little bit noisy and some users say that if you are in the market for really subtle assessment abilities, that it would be a better idea to purchase professional engineering equipment like the LeCroy brand o-scopes, but these Rigol-brand scopes are ideal for DIY hobbyists or engineering students. With dual analog channels and an external trigger channel, this digital oscilloscope is designed for high performance. 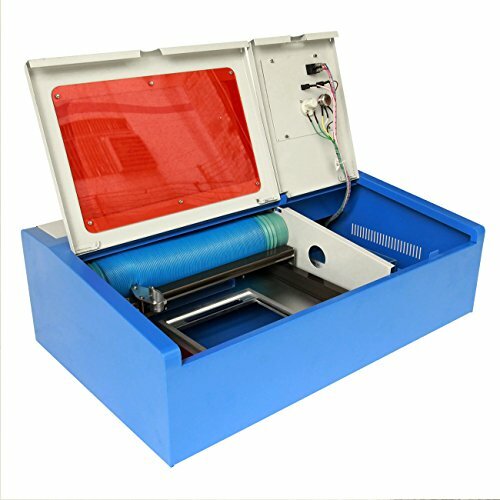 It provides 20 different parameters for wave measuring and comes with the powerful PC application software UltraScope. Customers we surveyed reporting high levels of satisfaction with this oscilloscope. 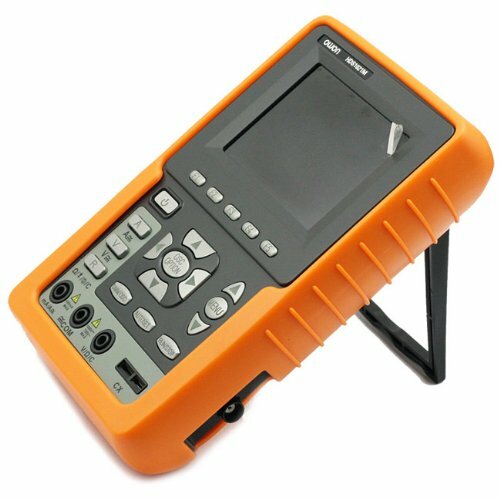 This is a great oscilloscope for someone on a low budget. If you don’t care about warranty, you can order this product directly from China via priority post and get it duty-free, which is great if you can’t afford retail prices. Rigol oscilloscopes are absolutely the best value for engineering students and amateur experimenters. 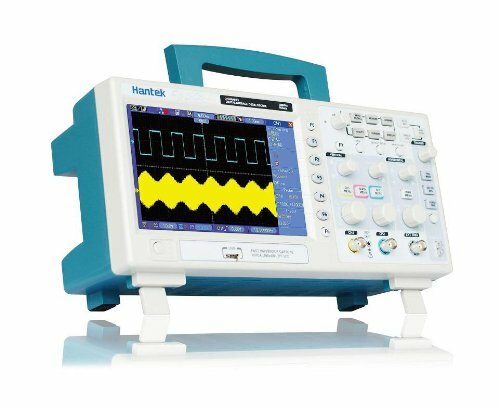 The Hantek DSO5072P Digital Oscilloscope is another crowd favorite with our reviewer base. This oscilloscope operates at 70MHz bandwidth and features a large 7″ LCD color display. Many customers like its light weight and love the built-in help menu and 4 math functions which include FTT standard. One of the customers had experience with other oscilloscopes in this price range and testified that nothing comes close to the Hantek DSO5072P. This digital oscilloscope is a professional scope available at a low price, perfect for electronic hobbyists as well as enterprising engineering students. This single channel digital oscilloscopes comes in yellow color and it’s equipped with 3.5“color TFT-LCD for viewing measurements and waveforms. Designed for travel and featuring a rechargeable lithium ion battery as an additional power source to AC adapter, this oscilloscope is ideal for measuring voltage, current, capacitance and resistance while on the go. Long battery life and an attractive screen are things that many customers liked, but some of them complained about DMM accuracy, which can be pretty inaccurate at +/- 0.1V. This product is perfect if you’re looking for a good handheld quality oscilloscope and already own a better oscilloscope at home or the workplace. 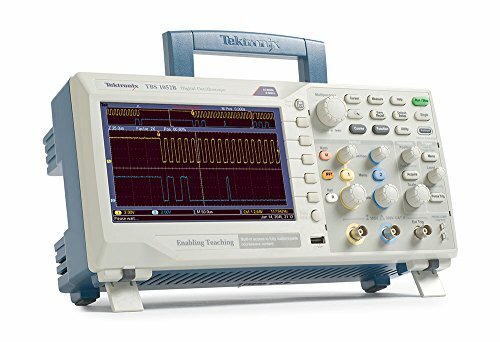 If you’re looking for a good oscilloscope and don’t mind spending a little bit more for a quality product then the Tektronix 1052B digital storage oscilloscope is for you. This oscilloscope operates at 50Mhz has 2 channels, 1GS/s sample rate and features a USB 2.0 interface for connecting to a computer for collecting data, analyzing and viewing waveforms and readings. Some of the customers liked its 7” color display while others liked it for having 2 USB ports, one in the front for USB flash drive, and one port in the back for plugging the scope into a computer. The best thing about this oscilloscope is a 5-year warranty, which guarantees the quality and durability of this product. 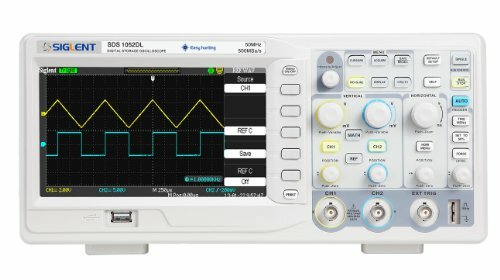 Siglent’s digital storage oscilloscope operates at 50 MHz and it is most suitable for repair & service work, as well as electrical engineering education. It has a built-in frequency counter that measures frequency from 10Hz to 50MHz in real-time. The oscilloscope comes in a case which includes 2 voltage probes, a power cord, a USB cable, a user manual, PC software and a calibration certificate. According to one satisfied customer, this is by far the best oscilloscope for under $300 which rivals Rigol, Atten and many other more expensive brands. These tools can either be analog, digital, or mixed signal. An analog oscilloscope directly shows an input signal as a constant waveform on a cathode ray tube (CRT). A digital oscilloscope, different than a stroboscope, by contrast, converts the input signal into a digital format in order that it could be saved for analysis later on, or viewed instantly on an LCD. Digital oscilloscopes can be handheld or portable, along with the standard benchtop or standing body types. A mixed signal oscilloscope (MSO) can calculate numerous signal types including digital, analog, and serial data at the same time. A USB oscilloscope works by way of a computer employing a USB. There are some things to consider when selecting an oscilloscope, including considerations like bandwidth, the range of frequency that may be measured with accuracy; sample rate, how many times a digital oscilloscope takes a sample of the signal, which can be scored in samples per second (S/s); and quantity of channels. Most oscilloscopes have 2 or more channels for signal input. Digital oscilloscopes offer Sixteen or higher, enabling channels to be committed to specific signals and applications. Additional features might include trigger controls, depth of memory or record length, and the capability to execute math calculations such as RMS (root mean square) and duty cycle. Oscilloscopes and probes can be safety rated for particular types of voltage – which is an especially important feature if you are using these at your job. Power may be supplied by batteries, a power wire, or connection to a computer, and a few models include a built-in generator. Popular manufacturers include Hantek, Rigol, Siglent, Tektronix and Owon.